Huh, we didn’t go see Santa this year. I wonder why. I think I still have that little button on my sweater. 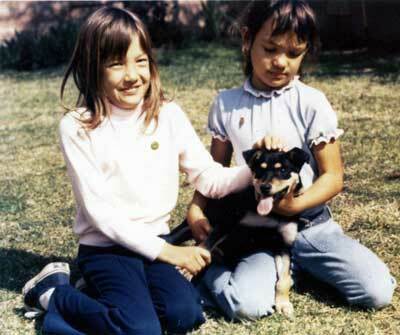 That dog is Ginger who went on to live with Grandma and Grandpa and was a terrific dog.